From a line drawn in the sand to armed guards and barbed wire fences, the US-Mexican border runs for over 3,000 kilometres through harsh desert and urban metropolises. Drugs, human-trafficking and illegal immigration are far from rare here, and many great modern movies focus on the heated exchanges, secretive transport and violent shoot-ups of this region. 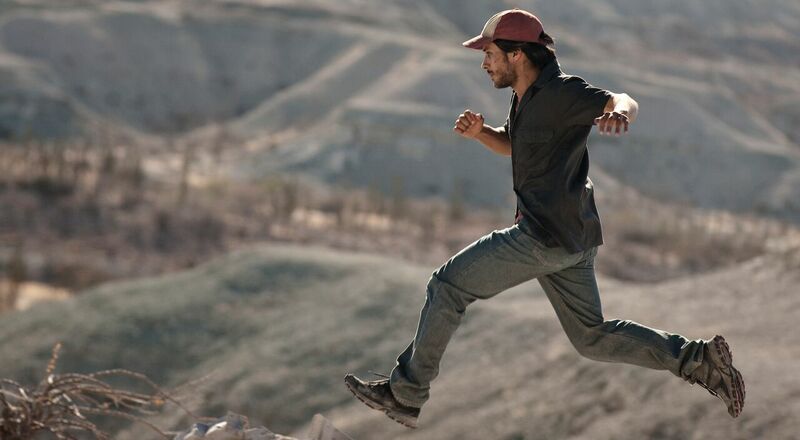 Desierto is one of these movies, following a rogue US vigilante who begins to hunt a group of immigrants trying to cross the border, so to follow its release on DVD we are taking a look at the best films in this perilous region. 2015 birthed this academy award-nominated crime-thriller, starring Emily Blunt, Benicio Del Toro and Josh Brolin. Following an FBI agent who is enlisted by a government task force to take down a Mexican drug cartel, Sicario flits between Arizona and Mexico as the team engage in intense man-hunts, brutal gunfire and heart-breaking loss. Once again focussing on the Mexican Drug War, Cartel Land is a documentary film about the vigilante community groups known as ‘Autodefensas’ and the Arizona Border Recon who battle against Mexico’s prevalent drug trade. By showing the parallel stories of vigilantes on both sites of the border, Cartel Land lays out what happens when the government institutions have failed and citizens take the law into their own hands. Drawing inspiration from the Cormac McCarthy novel of the same name, No Country for Old Men is set in the Texan desert where $2 million from a failed drug deal is picked up by the unassuming Llewelyn Moss. A hired hitman begins to hunt moss to acquire the lost money, beginning a fierce chase back and forth across the border that would make you scared of anyone you come across. A Honduran girl and a Mexican boy caught up in gang life attempt to escape their misfortune by crossing into the US, but it is far from an easy journey. From perilous river crossings, to manslaughter and collusion, Sin Nombre is clearly deserving of its many awards and plays on nearly every emotion on this adventure across the border to a better life. At a time when Donald Trump’s many scandalous acts are common knowledge and treated as expected, Desierto (directed by the writer of Gravity) follows a lone American vigilante who massacres a group of immigrants attempting the cross the US-Mexican border. The small team of survivors frantically escape and attempt to survive not only the relentless pursuit of a crazed American but also the harsh and threatening Mexican desert that could easily consume them. DESIERTO IS AVAILABLE ON DVD NOW!